Existen muchas maneras en las que usted puede usar la malla para protegerse del sol. Shade sail is a tough lightweight canopy made from polyethylene monofilaments that gets fastened down to and stretched out over a structure to support it. Its lightweight quality and versatility allow it to be used in a never ending number of designs and ways to protect surfaces of any size from the sun. The distinctive characteristic of shade sail is that light and air can pass through the knitted netting. As a consequence, under the canopy, it is possible to have the benefits of natural light, coolness, and comfort. La malla velaría crea un ambiente agradable sin exceso de sol. Shade sails are also known as sun sails and tensile canopies. Very original looks can be achieved with different types of slopes, curves, and shapes such as paraboloids and cones–basic designs and artistic designs. Nevertheless, no big investment in substructure is necessary, making it possible to maintain the iconic simplicity and minimalist aspect of shade sails. Shade sails are a high tensile material making it possible to suspend them on structures and withstand the tension required by the construction design. Shade sail is very adaptable to any type of space. Prior to installation, it is advisable to come up with a plan with a calculation of the implied forces necessary for guaranteeing stability. Our technicians can provide advice for any tensile structures for shade sails and provide seaming and installation services. Our shade sail does not fray or rip. This is a fundamental property for assuring strength and resistance for the installation. An installation for providing protection, such shade sails, needs a shade cloth that can withstand tension and last for a while. 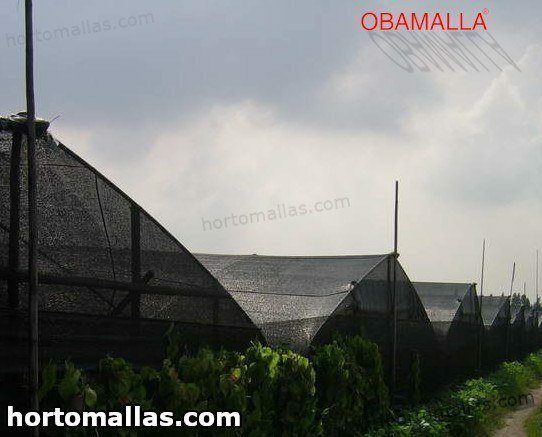 In order to achieve a long useful product life, all of our netting is treated to prevent deterioration by ultraviolet rays. 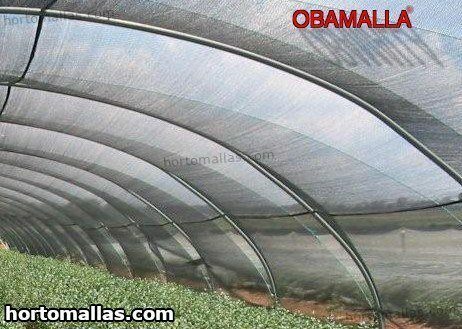 Additionally, the manufacturing process and pigments which are added, confer certain capacities of reflection and absorbance to the netting, which are ideal for resisting the sun’s rays. One of the main characteristics of sun protection netting is its toughness and durability. Our fabric is prepared to stand up to attacks by chemical and organic agents. Thus it is very resistant to fungus and mold. Shade sails maintain themselves suspended thanks to the natural tension that the design provides, basing themselves only on supports on their perimeter. They will even function with only one post. Shade sails can be triangular sails, square sails, or rectangular sails. The design is inspired by spiderwebs, an example of structural and mechanical efficiency. Ever since the ancient Romans, canopies were used in the amphitheaters that utilized cords and tensioners to support the retractable fabric. Tensile structures are made up of 1) a structure (tubular, metallic), 2) the canopy or fabric (shade cloth), and 3) tensioning cables and anchors. The load is distributed uniformly by controlling the tension. 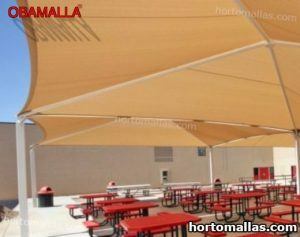 These canopies make it possible to cover large areas using relatively little material. Therefore, it is an optimal and economical way of protecting large areas on occasions of an event or festivity and in stadiums, recreational and sports areas, resting areas, restaurants, businesses, public spaces, airports, etc. 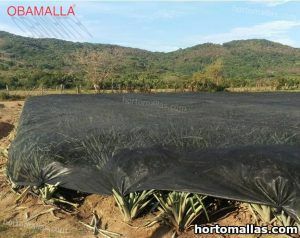 The density, uniformity, flexibility, and toughness of our netting make it a suitable fabric to be mounted as shade sails. Moreover, no maintenance is required because it is highly resistant to atmospheric agents. Shade cloth is very versatile, being an incredible option for your crops. They are efficient just as much from an aesthetic viewpoint as from a structural viewpoint. Shade cloth is lightweight and easy to handle. Given that it is translucent and allows light and air to pass through, it allows air to circulate, even in hot weather. Being simple and lightweight by design makes it easy to transport, install, take down, and store. Putting it up is quick and possible anywhere, even in areas with seismic activity. It enables a considerable savings in time and labor. On one hand, it does not demand skilled labor. On the other hand, it does not require a structure with a foundation, only anchoring points in the ground. This feature makes it especially attractive for onetime events. La malla también puede ser utilizada como material decorativo para reuniones al aire libre. Any area can be covered to provide temporary protection for events or festivities such as weddings, inaugurations, and exhibitions. It can also be used as a permanent installation for all sorts of residential, commercial, and public uses. Examples would be horse riding centers, hangars, logistics centers in industrial complexes, airports, and ports. The innovative shade sails use high quality materials with special emphasis on toughness, safety, and environmental integration. Modular anodized aluminum structures are often used for construction and engineering projects. This type of structure is highly recommended for shade sails because of its metallic resistance to atmospheric agents (water and UV radiation which result in corrosion). In addition, aluminum is lightweight, robust, recyclable, durable, safe, and functional. Since it uses a limited number of materials and they can be reused, it is a practical and economical solution. The elegant and common sense design is adaptable to the place and occasion of use, temporary or permanent. Its uses include covering a green area, using it for exhibition stands, creating an elegant atmosphere for parties and receptions, setting up areas for the storage of goods, protecting manufacturing activity, managing an emergency in a military setting, extending a restaurant’s territory, using it for agricultural purposes, etc. Thanks to the reduction in temperature and the protection from solar rays, which favor the exchange of air, our sun protection netting is a solution for maintaining a fresh atmosphere without the need of turning to equipment to modulate the temperature. The construction has an aesthetic aspect and relevant artistic style. For this reason the structure, fabric, and fasteners should comply with the criterion of homogeneity and simplicity. To accomplish this, shade sails are lightweight and elegant. 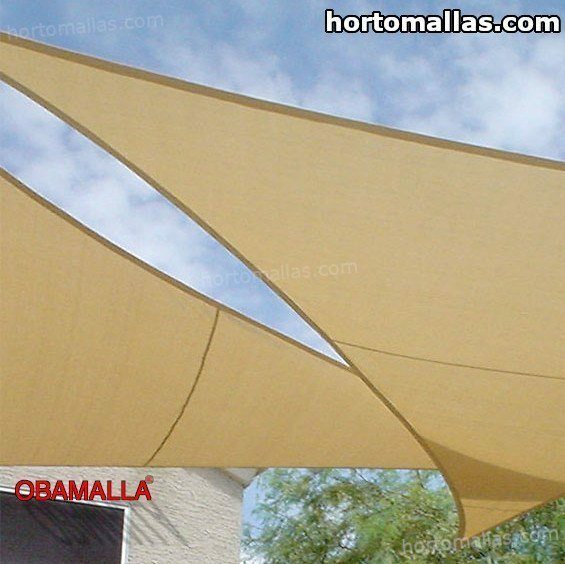 The lightweight quality, toughness, and durability of shade cloth make it the option to use. The technical and functional requirements are: flexibility, toughness, stability, durability of materials, and uniform load distribution. Thanks to sun protection netting being set up, the canopy has a large capacity for isolating heat and noticeably reducing apparent temperature.